If you have ever woken up in the middle of the night with an ear ache, you know just how painful they can be. When faced with an ear infection, people tend to rely on medications, but there are natural remedies that may be affective for this condition. 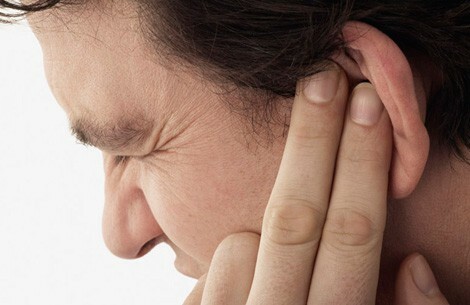 If you are faced with an ear infection, your chiropractor can be a great first stop. Chiropractic treatments have been shown to be helpful in easing the discomfort associated with ear infections. This is especially good news for people with chronic ear infections becuase the infection may grow resilient to medication. Before we explain how ear infection patients may benefit from a visit to their local chiropractor, lets first discuss the symptoms and causes. Ear infections can be painful due to the build up of fluids and inflammation. The most common reasons for an ear infection would be due to a virus or bacterial infection in the middle ear. In addition, your ear infection may be brought on by allergies, cold, or flu, becuase all of these aliments cause congestion and swelling in the nasal passages. SO HOW CAN YOUR CHIROPRACTOR HELP? As with most conditions that cause pain or discomfort in the body, the first stop for your chiropractor will be the spine. This is of great importance becuase spinal misalignments can interfere with the communication of your nervous system, resulting in problems elsewhere in the body. Particularly with an ear infection, chiropractors tend to focus their efforts on the neck muscles to restore function to the lymph glands and the Eustachian tube within the ear. If there is a misalignment located int the neck, this may be a good indicator that the Eustachian tube may not be able to properly drain. Once fluid builds up in the ear, this is when an infection can set in, and the discomfort becomes highly disruptive. So how can your chiropractor help drain the Eustachian tube and relieve the pressure? Your chiropractor may perform a gentle adjustment to the spine to help relieve the pressure surrounding the affected ear. Once the adjustment has been successfully administered and corrects the obstruction, which was previously disrupting your body’s natural nerve function, the Eustachian tube and lymphatic vessels should begin to function normally again, allowing drainage of the ear to take place. Depending on your case, a chiropractor may also recommend Cold Laser Therapy in conjunction with spinal manipulation to aid in reducing inflammation. Ear infections are a great example of how your chiropractor can help you with more than back and neck pain. As mentioned in earlier articles, chiropractic care revolves around maintaining a healthy nervous system so you can avoid conditions rather than treat conditions. At the Back and Neck Center of Brick, we are proud to say that we have helped thousands of patients live more satisfying lives for over 28 years! Come see why the Back and Neck Center of Brick has been Voted Best Chiropractors in Ocean County 9 Times in a Row! From 2009-2017, by Readers of the Asbury Park Press! Prev Previous post: Jaw Pain? Your Chiropractor May be Able to Help.